Professor Rupa Purasinghe, Ph.D., P.E. Dr. Purasinghe's interests are in Computer Aided Analysis and Design. He is a Registered Professional Civil Engineer of California. Currently he is the Interim Chair of the Technology Department. Dr. Purasinghe teaches courses in analysis and design of structures, computer aided design laboratory, senior design project course and finite element analysis. He is also very interested in using interactive course modules via internet. CSLA Civil Engineering Senior Design Projects where he is the Course Coordinator received NCEES national awards for Connecting Professional Practice and Education in 2011 and 2010. 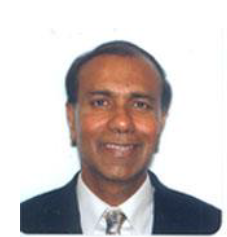 Dr. Purasinghe's current research interests are in performance based structural analysis and design, response modification of structures using energy dissipation devices, and application of web based technology in engineering education.